THC, also known as tetrahydrocannabinol, is the compound found in cannabis that has psychoactive properties and gives you the feeling of being high. According to the National Institute on Drug Abuse (NIDA), THC has an affect on things like thinking, memory, pleasure, movements, concentration, coordination, and sensory and time perception. For these reasons it is recommended that people should not drive or operate heavy machinery when under the influence of Marijuana. Aside from these physical and mental affects THC has been shown to offer many health benefits including helping people suffering from PTSD, eating disorders, anxiety, depression and anxiety. Back in the 60's when people tended to smoke 'grass' with pollinated flowers full of seeds THC levels were around 1%. With the advent of the creation of new hybrid cannabis strains in the 90's such as Skunk no.1 and Afghan Kush, THC levels jumped massively to around 10%. Then as cannabis laws relaxed around the world and breeders were able to experiment more freely in places like Holland, Spain and now the USA the boundaries of where THC levels can go have been pushed in the the high 20's and even over 30%! 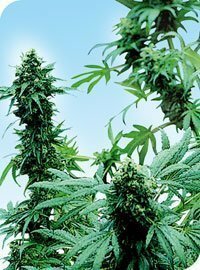 Best outdoor cannabis seeds available from dope-seeds.com. We are often asked by people interested in the genetic traits of cannabis seeds 'what are the best outdoor cannabis seeds'? At this time of year in countries like Holland and Spain things are warming up nicely and those people might be allowed to grow cannabis plants outdoors so they are all looking for the best outdoor cannabis seeds. We stock a massive range of cannabis seeds and some of these are better suited to outdoor growing than others - where that is legal of course! Here in the UK its illegal to grow cannabis whether indoors or out so this information is here just to help you understand the genetic traits of our cannabis strains. Top 5 outdoor cannabis seeds - a countdown of the best outdoor cannabis seeds 5. Biddy Early from Serious seeds Serious seeds Biddy early if a feminised cannabis strain with mostly sativa genetics which has been bred to grow outdoors in a northern European climate. Biddy early feminised is perfect for outdoor growers as its starts to flower early and finishes early enough to avoid frosts and cold weather in northern Europe 4. Frisian Dew from Dutch Passion Seeds Frisian Dew Feminised Cannabis Seeds by Dutch Passion were developed by crossing a Super Skunk female with a Purple Star male. Dutch Passion have developed this beautiful premium variety that is stable and can be grown outdoors. Frisian Dew Feminised Cannabis seeds produce half Indica, half sativa marijuana plants that turn purple upon flowering and are very adaptable to tough climate conditions, especially in Northern countries. 3. 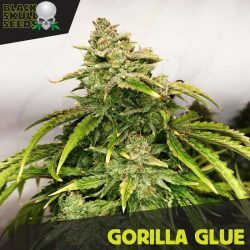 Critical from Royal Queen seeds Critical feminised cannabis seeds by Royal Queen Seeds has been created to bring together all of the features important to deliver the ultimate cash crop. 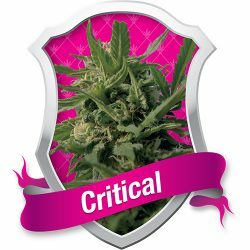 Critical Feminised strain is indica dominant and has the perfect balance of large yield, short flowering time and quality smoke. No other strain from Royal queen strain will produce as much in 7 weeks as Critical Feminised seeds. 2. Female Seed company Purple Maroc seeds The Female Seeds Co.’s Purple Maroc feminised is a pure strain that has origins in the Ketama region. This feminised cannabis strain variety grows best outdoors or in a greenhouse, has a flowering time of 8 weeks and produces an abundance of resin covered buds. Purple Maroc by Female Seeds Co offers generous crops that are enormously aromatic. 1. 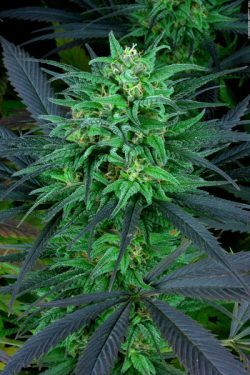 Sensi Seeds Early Skunk female seeds Sensi seeds Early Skunk feminised is the perfect outdoor cannabis strain fro growers in the northern hemisphere. Early skunk from Sensi seeds is incredibly vigourous and flowers so quickly that she finishes before the end of even the shortest summer. As well as being fast to finish, the yields are very nice and the final product is not to be sniffed at! We sell CBD cannabis strains in the UK for genetic preservation purposes as under UK law it is illegal to germinate cannabis seeds and grow cannabis seeds. Please check your local laws before ordering. what is cannabis? Cannabis is a genus of flowering plants that includes three separate and distinct varieties, Cannabis sativa, Cannabis indica,and Cannabis ruderalis. These three sub species are indigenous to Central Asia, and South Asia. Cannabis has for 1000's of years been used for making hemp fibre, for food, for medicinal purposes, and as a recreational drug. Industrial hemp clothes and materials are made from Cannabis plants which have been selected to produce an massive amounts of fibere. To satisfy the UN Narcotics laws, industrial hemp varieties have been created which contain very low levels of THC (one of the psychoactive compounds that gives the "high" associated with smoking cannabis. The psychoactive product often called marijuana is the dried flowers of plants selectively bred and modified to produce high levels of THC and other psychoactive compounds such as CBD. Various extracts such as hashish and hash oil can also be produced from the plant. Cannabis sativa is one of the subspecies of the cannabis genus. A Cannabis sativa plant can have a THC/CBD ratio 4-5 times that of Cannabis Indica, that is to say sativa strains have high levels of THC and in comparison low levels of CBD. The Plants are generally tall and slender characterised by narrow serrated leaves and loose spear-like flower clusters that can be extremely resinous. Sativa cannabis plants can often reach 2-3 metres in height and will have longer flowering times, taking between 10 and 14 weeks to reach full maturity. Sativas are well known for their cerebral high and primary effects that focus on the mind and emotions. Cannabis indica is a short and stocky genus of the cannabis genus which is thought to have originated in the Hindu kush mountain range of central Asia. 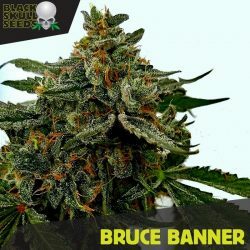 Due to to the short harsh summers and variable weather cannabis indica strains have to finish fast often reaching maturity after 8 weeks of flowering and pack on huge flowers and buds which are covered in resin. Indica strains are much shorter and stockier than sativa strains generally being around 1 metre in height. Indica strains have a CBD/THC ratio that can be 4-5 times higher than sativa strains. This means that Indica strains have much higher levels of CBD than sativa strains. Indica strains are often used in the hindu kush region for the production of hashish and hash oils. Indica strains are well know for their medical benefits due to their narcotic and sedative effect. Cannabis Ruderalis is a sub species of cannabis that originates from central Asia and is much shorter than cannabis sativa and cannabis indica. Ruderalis has developed in very harsh climates and begins flowering according to life cycle rather than photo period unlike the sativa and indica varieties. This means that ruderalis plants will begin to flower after 3-4 weeks from germination unlike the sativa and indica sub specie which need to receive less than 12 hours of light per day to begin flowering. Because of these reasons Ruderalis has been described as 'auto flowering'. Ruderalis has very low levels of THC and CBD and has little recreational use but various breeders have crossed ruderalis with indica to create autoflowerinng strains with higher levels of THC and CBD while retaining the autoflowering trait. Cannabis plants are either male or female. The male plants produce pollen which pollinates the flowers of the female plant, which once pollenised, produce seeds. If the female plant isn't pollenized (if there are no male plants nearby producing pollen), the flower/buds continue to develop and produce THC. Female plants which are not pollenized are referred to as sensemilla (without seeds). If a female cannabis plant is not pollenised it puts more effort into producing buds and excess resin. 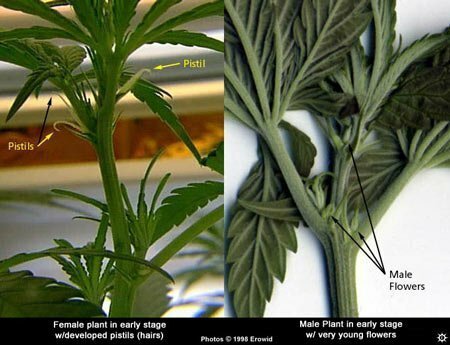 More in-depth information on the gender of marijuana plants Female Pistils - notice the sac and the feathery frond-like structure. Usually after five days to two weeks you will begin to see a pair of tubular nodes. Hopefully they will have white hairs protruding from them as this denotes a female plant. These little hairs are known as pistils and they are the first sign your plant is flowering. Female Cannabis – The female cannabis plant, unlike the male, is grown to produce marijuana. Premium marijuana is produced in seedless form by eliminating all pollen sources from the growing environment. Seed production reduces the value of marijuana dramatically by lowering the yield and potency of the flowers. The female flowers appear as two long white, yellow, or pink pistils protruding from the fold of a very thin membranous calyx. The calyx is covered with resin exuding glandular trichomes (hairs). Pistillate flowers are borne in pairs at the nodes one on each side of the petiole behind the stipule of bracts which conceal the flowers. The females are recognized by the enlargement of a symmetrical tubular calyx (floral sheath). They are easier to recognize at a young age than male primordia. The first female calyxes tend to lack paired pistils (pollen-catching appendages) though initial male flowers often mature and shed viable pollen. In some individuals, especially hybrids, small non-flowering limbs will form at the nodes and are often confused with male primordia. The female plants tend to be shorter and have more branches than the male.